Friday's running in Mexico pointed towards some surprise results - but just how is the high altitude shaking things up? Free Practice 2 rarely offers much in the way of excitement in Formula 1, such is the nature of teams’ programmes to set things up for the rest of the weekend, but Friday’s session ahead of the Mexican Grand Prix offered signs of potential for an unpredictable weekend ahead. Red Bull had been expected to be more competitive in Mexico than it had been at other circuits so far this year, given the RB14 car’s tendency to run strongly with a high downforce setup. While it may have not been a surprise to see Max Verstappen and Daniel Ricciardo heading the timesheets, the fact they did so by over a second certainly was. The Autodromo Hermanos Rodriguez offers a real setup conundrum for F1 teams to get to grips with. While the layout itself may favour a more low downforce setup given the long main straight, the fact the track sits 2.2 km above sea level - over 1.5 km higher than any other circuit - means that with the air being much thinner, all teams must use the maximum downforce possible. And even then, it isn’t enough to stop the cars from being super slippery, with Brendon Hartley explaining on Thursday how they actually have less downforce than at Monza, even with the engineers’ best efforts to keep the car glued to the ground. “It’s a really interesting one. You say it’s a high downforce track, but there’s very, very low air density, so I think every car has the maximum downforce they can put on the car,” Hartley explained. “But actually downforce that we get is less than Monza, just because I think there is around 22 percent less downforce and drag than what you would have at sea level. That much was evident on Friday, with the advantage typically enjoyed by the drivers running Mercedes and Ferrari power unit dissipating, allowing the Renault and Honda-powered cars to feature in the top six. In fact, just one driver powered by either Mercedes or Ferrari reached the top six: Sebastian Vettel in P4. 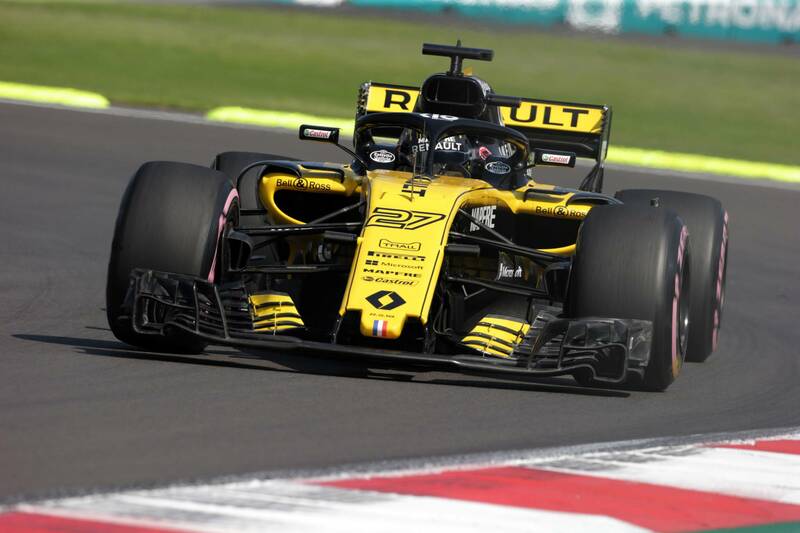 The fact you had Carlos Sainz Jr. (P3 in both sessions), Nico Hulkenberg (P5 in FP2) and Brendon Hartley (P6, having hours earlier just been told he had to “improve his performance” if he wanted a chance to keep his seat) showed just what an unpredictable session it was. Another stand-out statistic was the fact that four of the six Renault-powered cars on the grid managed to finish in the top five. The remaining two, both powered by McLaren, ended a lowly 15th and 19th, Stoffel Vandoorne ahead of Fernando Alonso. High downforce may be the requirement in Mexico, yet even that isn’t enough to bring McLaren into contention, it seems. The cooling challenge also posed in Mexico left a number of teams concerned about their engines, including Mercedes, who in fact turned down the power on both Lewis Hamilton and Valtteri Bottas’ cars for fear of overheating. The altitude-induced struggles were not limited to setup, though, with the soft tyre selection from Pirelli contributing to the hard time many out there faced. On a green track that saw little track evolution throughout Friday, it was difficult to string a lap together. “The car was good in some places and not so good in some other places,” said Hamilton. “It’s very, very difficult here with the temperature being as high as it is on-track, melting the tyres and graining, which I think a lot of people are experiencing. There’s a lot of places. We’re probably going to sit now in the debrief and go through all the different things we can improve. The high track temperatures meant the Hypersoft tyre, which had proven troublesome at circuits such as Singapore and Sochi, was particularly fragile. Many drivers reported that they felt like “chewing gum” just a few laps into the stint. How long did they last for Hamilton? “Three-and-a-bit laps. You do a timed lap, I can’t remember if I did a second one or not, but then on the long run, it was something like four laps or something like that. Naturally, that would point to drivers looking to get through Q2 on the Ultrasoft tyre, ensuring they can go longer into the race before making a pit stop, a strategy that worked in Singapore and Sochi. But Hamilton was uncertain if this would be the right move. Mercedes and Ferrari are expected to turn up the wick when it comes to qualifying with their ‘party mode’, leading the Renault drivers to cast doubt on the team being able to repeat its double top-five finish from Friday. Teammate Sainz added: “I think I would be a bit naïve to think tomorrow we’re going to be third on the grid. I’m always optimistic and I’m always going to try my best, but I think they had issues today. They were struggling also in the long runs. I was following them and they didn’t look comfortable. The pecking order, while slightly altered, may remain roughly the same as it has been all season, yet there could be a real opportunity for teams to roll the dice when it comes to strategy. No-one saw the degradation levels coming, leading them all to load up on Hypersofts. The most conservative drivers have eight sets available, with the most conservative strategy being at Mercedes - Bottas has three sets of Ultrasofts and two Supersofts available; Hamilton has four Ultras and two Supers - and for Fernando Alonso, who has three sets of Supersofts and two Ultrasofts. Sainz, Hulkenberg, and the Sauber duo of Marcus Ericsson and Charles Leclerc, meanwhile, have only three sets of tyres that aren’t Hypersofts to play with. All of this may force some interesting tyre strategies come Sunday, with extra limitations for those making it through to Q3. If you’re in the midfield fight, do you try and grab 11th? Or will Hamilton’s theory of the Hypersofts being crucial for the opening lap ring true? “You can put the master of the tire management in this weekend, and even this guy will be 10 seconds off the pace. I think it’s going to be really tough for everyone,” Pierre Gasly - F1’s most recent tyre management king - said. “I’m really looking forward to seeing in terms of tire strategy what people are going to do in qualifying because the Hypersoft tyres seem to last four or five laps and then you lose not a couple of tenths, it’s like a second per lap. So it’s really huge. 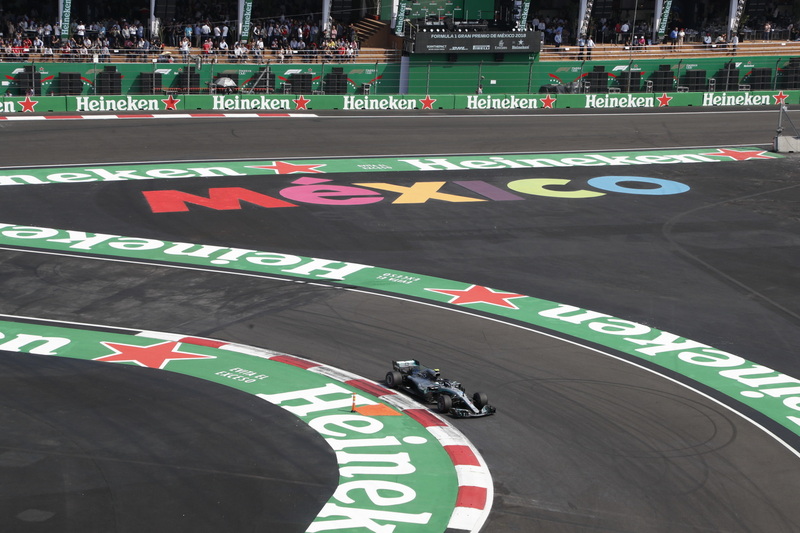 At high altitude, Mexico could offer up some dizzy results in both qualifying and the race. It may be too late to have a real impact on the title race, but it could definitely add an extra twist to the final chapter of the 2018 season.